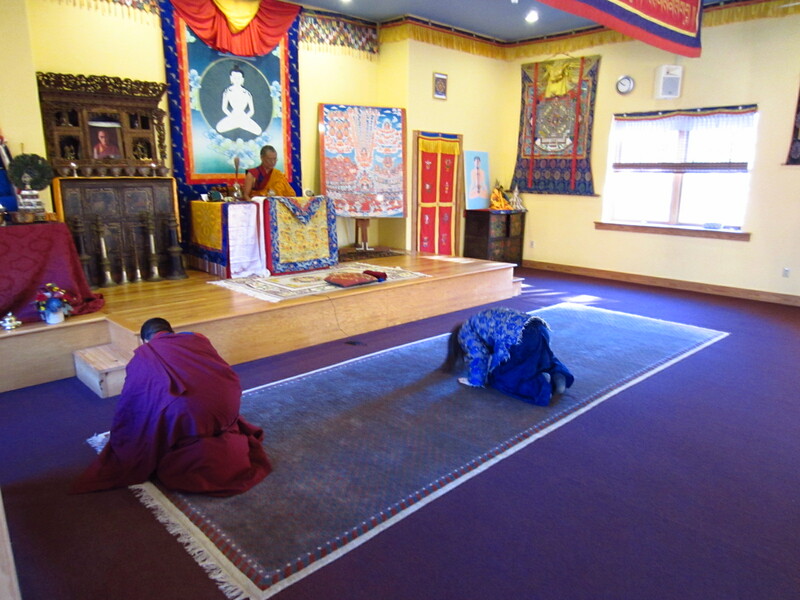 Offering prostrations before His Eminence Menri Ponlop Yangton Thrinley Nyima Rinpoche. Photo credit: Lee Hartline. Engaging with these activities is a practice of the two accumulations of merit and wisdom. Posted on January 14, 2018, in Prayer and Ritual, Translation, Uncategorized. Bookmark the permalink. 3 Comments. Can I ask your Something? What means ,turning the wheel of bön,? I imagine something,but i am not shure,of its true…thank you. Important for me to hear this…thank you!